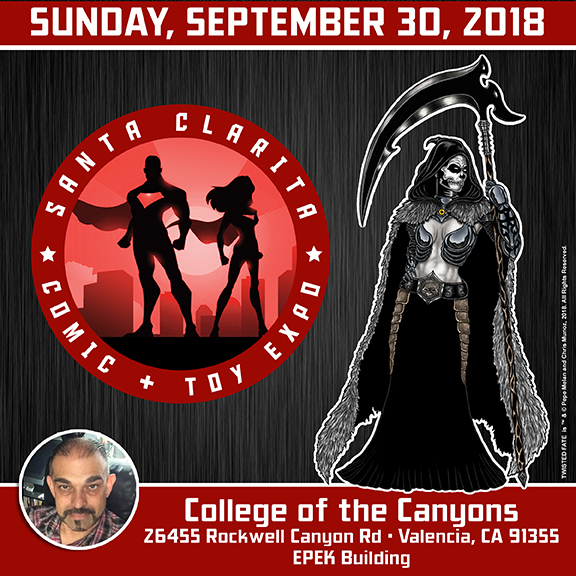 This Sunday, September 30, I will be at the Santa Clarita Comic & Toy Expo. At my table you’ll find prints, original art, buttons, custom sketch covers, custom shoes, my indie comic magazine Unique Realm Illustrated, and Twisted Fate Shirts, Hats and Beanies. If your in the area stop by and check out this 1-day show.